American Life League’s Culture of Life Studies Program has made great strides since our founding just over a year ago. Cardinal Burke has always been a stalwart pro-life champion and an authoritative voice on Church teaching and the fundamentals of our faith. He is an excellent model of humility and perseverance and an example to all of the necessity to stand up for truth despite the cost. We are thrilled that he has given his endorsement to the Culture of Life Studies Program and we ask you all to pray for him and for us as we endeavor to guide the youth toward a culture of life. Read the cardinal’s full letter here. 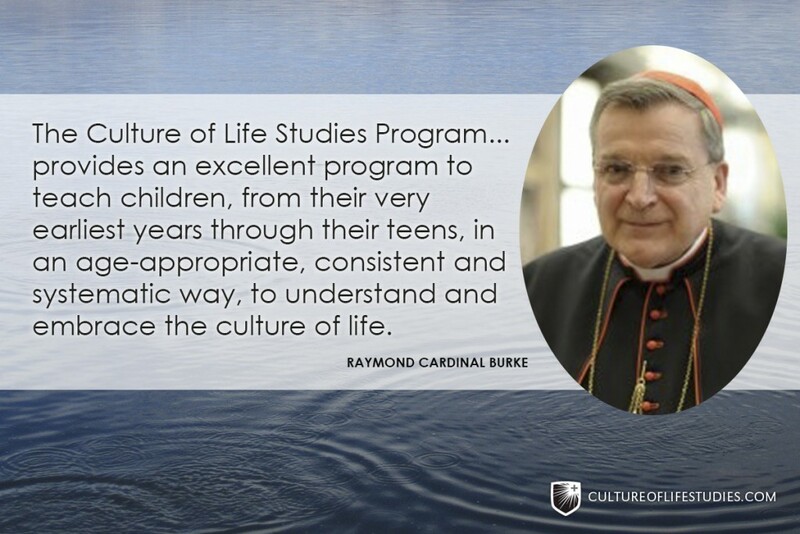 We are thrilled that Cardinal Burke has given his endorsement to the Culture of Life Studies Program. In addition, we are thankful for your continued support of our program, and we ask you to prayerfully consider making a donation so that we can further our mission and equip parents and teachers with these important resources. We have several studies waiting for funding, but we cannot finish them without your support. Please consider a donation today!